There are not many schools that can boast four centuries of history and continue to be a solid, forward-thinking establishment. Yet, Dulwich College has an aptitude for integrating old and new. The emphasis on creativity and innovation chimes like the bell in their 150 year old clock tower. Looking to the future, they have ensured that the historic building is maintained to its best by upgrading their facilities to the highest specification. One such addition is their new Dynamik (area elastic) sprung sports floor. The Dynamik sprung system finished with a solid sport linoleum allows the space to not only provide high performance sporting opportunities for pupils, but could be utilised for non-sporting events such as meetings, community groups and social occasions, due to its high indentation resistance and durability. 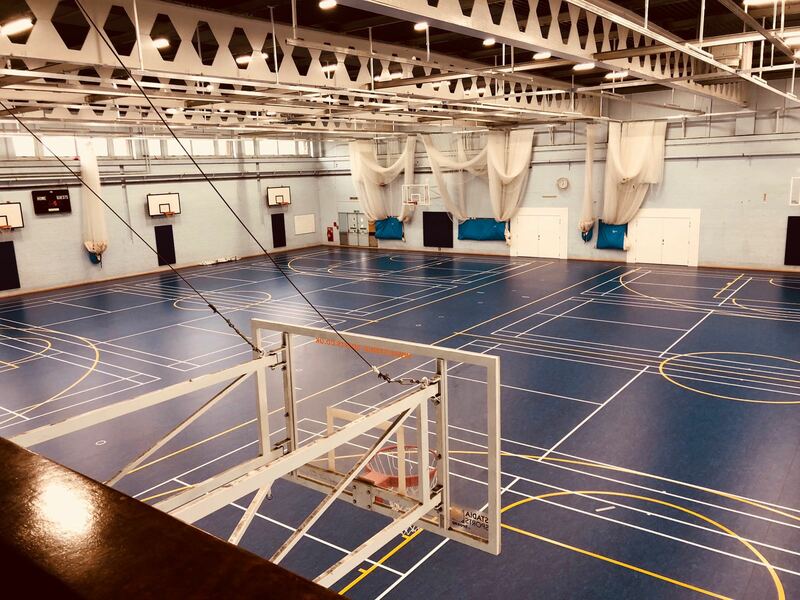 Originally named ‘Alleyn’s College of God’s Gift’ after its founder, Edward Alleyn, the college was later renamed Dulwich College and now this impressive educational site can boast a new Dynamik sports floor! “Working with a prestigious establishment such as Dulwich College is yet another successful project that we can add to our growing portfolio of schools, colleges and universities where a Dynamik Sports floor has been chosen for all to enjoy.” Craig Jack – Commercial Director at Dynamik Sport. Dynamik Sports have built a strong reputation for providing class leading internal sprung sports floor systems and are Sport England & BS EN 14904 compliant. Dynamik are the official sports flooring suppliers to Basketball England & England Netball. For more information on how we can assist in your project contact us at: info@dynamiksport.co.uk. Tel: 0117 3015120.